April 23, 2019 at 10:37 am PDT May contain affiliate links. Read disclosure. Check out the 4/28 to 5/4 Advanced Ad for Target! Click on the pic above or the previous link to see the full 20-page expanded view. Here’s a link to to our Coupon Database with over 6000 of the latest coupons and their info loaded in, and here are some recent Target deals. Get your coupons ready ahead of time for some great deals! In case you didn’t know, we have a sub-site dedicated to Advanced ad previews. You can access ad previews by either going directly to FreeStuffFinder.com/ads or by coming to the home page and clicking on “Ad Previews”. Or click on “Store Deals” from the site menu, select on the “Target” or store of your choice, and look for the “Ad Preview” mini tab for store categories. Check out more Target deals here. 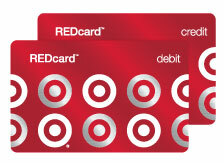 And if you haven’t already Click Here to Sign up to Target RedCard for Free to Save an extra 5% on all your purchases. Plus, as a RedCard holder, you also get Free Shipping on all Target.com orders. You will also get extended returns – An extra 30 days to return stuff. Sweet! New to Couponing at Target? Click here to watch my Target 101 Tutorial Video. April 16, 2019 at 9:02 am PDT May contain affiliate links. Read disclosure. Check out the 4/21 to 4/27 Advanced Ad for Target! Click on the pic above or the previous link to see the full 8-page expanded view. Here’s a link to to our Coupon Database with over 6000 of the latest coupons and their info loaded in, and here are some recent Target deals. Get your coupons ready ahead of time for some great deals! April 9, 2019 at 8:09 am PDT May contain affiliate links. Read disclosure. Check out the 4/14 to 4/20 Advanced Ad for Target! Click on the pic above or the previous link to see the full 40-page expanded view. Here’s a link to to our Coupon Database with over 6000 of the latest coupons and their info loaded in, and here are some recent Target deals. Get your coupons ready ahead of time for some great deals! April 2, 2019 at 8:32 am PDT May contain affiliate links. Read disclosure. Check out the 4/7 to 4/13 Advanced Ad for Target! Click on the pic above or the previous link to see the full 33-page expanded view. Here’s a link to to our Coupon Database with over 6000 of the latest coupons and their info loaded in, and here are some recent Target deals. Get your coupons ready ahead of time for some great deals! March 26, 2019 at 11:02 am PDT May contain affiliate links. Read disclosure. Check out the 3/31 to 4/6 Advanced Ad for Target! Click on the pic above or the previous link to see the full 24-page expanded view. Here’s a link to to our Coupon Database with over 6000 of the latest coupons and their info loaded in, and here are some recent Target deals. Get your coupons ready ahead of time for some great deals! March 19, 2019 at 9:46 am PDT May contain affiliate links. Read disclosure. Check out the 3/24 to 3/30 Advanced Ad for Target! Click on the pic above or the previous link to see the full 20-page expanded view. Here’s a link to to our Coupon Database with over 6000 of the latest coupons and their info loaded in, and here are some recent Target deals. Get your coupons ready ahead of time for some great deals! March 11, 2019 at 4:00 pm PDT May contain affiliate links. Read disclosure. Check out the 3/17 to 3/23 Advanced Ad for Target! Click on the pic above or the previous link to see the full 24-page expanded view. Here’s a link to to our Coupon Database with over 6000 of the latest coupons and their info loaded in, and here are some recent Target deals. Get your coupons ready ahead of time for some great deals! March 4, 2019 at 3:22 pm PDT May contain affiliate links. Read disclosure. Check out the 3/10 to 3/16 Advanced Ad for Target! Click on the pic above or the previous link to see the full 20-page expanded view. Here’s a link to to our Coupon Database with over 6000 of the latest coupons and their info loaded in, and here are some recent Target deals. Get your coupons ready ahead of time for some great deals! February 26, 2019 at 8:41 am PDT May contain affiliate links. Read disclosure. Check out the 3/3 to 3/9 Advanced Ad for Target! Click on the pic above or the previous link to see the full 20-page expanded view. Here’s a link to to our Coupon Database with over 6000 of the latest coupons and their info loaded in, and here are some recent Target deals. Get your coupons ready ahead of time for some great deals! February 19, 2019 at 9:59 am PDT May contain affiliate links. Read disclosure. Check out the 2/24 to 3/2 Advanced Ad for Target! Click on the pic above or the previous link to see the full 24-page expanded view. Here’s a link to to our Coupon Database with over 6000 of the latest coupons and their info loaded in, and here are some recent Target deals. Get your coupons ready ahead of time for some great deals! February 12, 2019 at 9:31 am PDT May contain affiliate links. Read disclosure. Check out the 2/17 to 2/23 Advanced Ad for Target! Click on the pic above or the previous link to see the full 16-page expanded view. Here’s a link to to our Coupon Database with over 6000 of the latest coupons and their info loaded in, and here are some recent Target deals. Get your coupons ready ahead of time for some great deals! February 5, 2019 at 10:00 am PDT May contain affiliate links. Read disclosure. Check out the 2/10 to 2/16 Advanced Ad for Target! Click on the pic above or the previous link to see the full 24-page expanded view. Here’s a link to to our Coupon Database with over 6000 of the latest coupons and their info loaded in, and here are some recent Target deals. Get your coupons ready ahead of time for some great deals! January 29, 2019 at 9:55 am PDT May contain affiliate links. Read disclosure. Check out the 2/3 to 2/9 Advanced Ad for Target! Click on the pic above or the previous link to see the full 24-page expanded view. Here’s a link to to our Coupon Database with over 6000 of the latest coupons and their info loaded in, and here are some recent Target deals. Get your coupons ready ahead of time for some great deals! January 22, 2019 at 10:16 am PDT May contain affiliate links. Read disclosure. 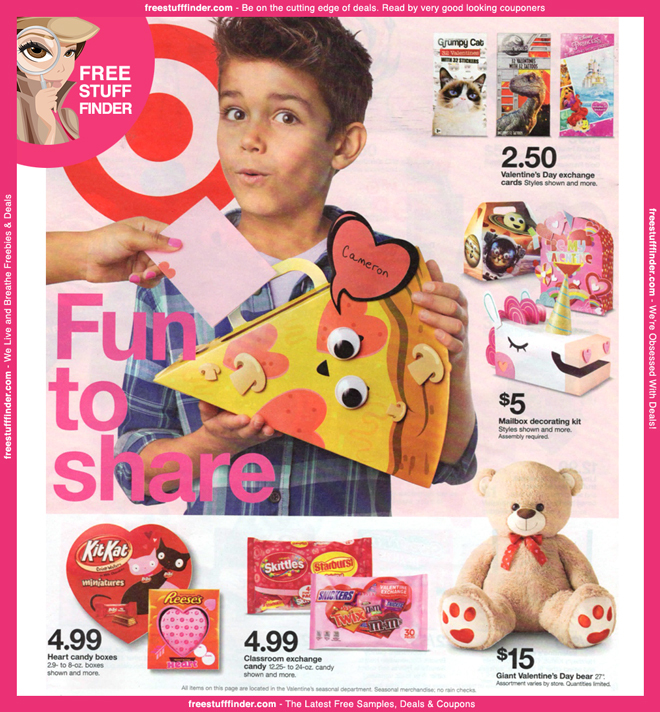 Check out the 1/27 to 2/2 Advanced Ad for Target! Click on the pic above or the previous link to see the full 19-page expanded view. Here’s a link to to our Coupon Database with over 6000 of the latest coupons and their info loaded in, and here are some recent Target deals. Get your coupons ready ahead of time for some great deals! January 15, 2019 at 10:23 am PDT May contain affiliate links. Read disclosure. Check out the 1/20 to 1/26 Advanced Ad for Target! Click on the pic above or the previous link to see the full 15-page expanded view. Here’s a link to to our Coupon Database with over 6000 of the latest coupons and their info loaded in, and here are some recent Target deals. Get your coupons ready ahead of time for some great deals!